I've started riding again at De Hollandsche Manege. 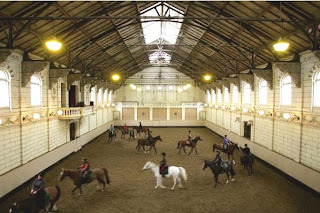 Founded in 1744, it is the oldest riding school in the Netherlands and a national monument. Next to the Vondelpark, it was traditionally the chosen place for wealthy Amsterdammers and Dutch royals to hone their riding skills. 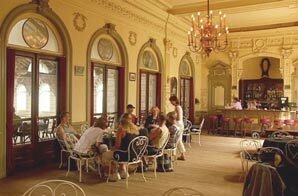 Now, it's easy enough for anybody to take a few lessons in a majestic, old-world setting. There's even a bar above the ring where you can grab a post-ride coffee or cocktail. Every time I stop in to the bar there are fresh flowers and flickering candles in silver candelabra on every surface- tres chic!